This is definitely BIG, voluminous, curly hair!!!!! It is around 24-26" in length and goes past the shoulders. 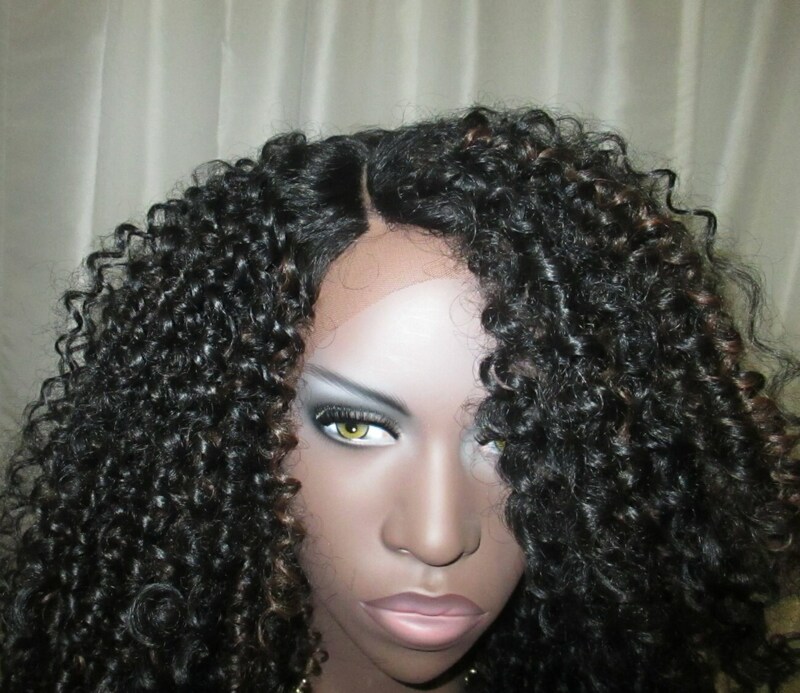 This lace front wig can be worn with the part to the side or in the middle. 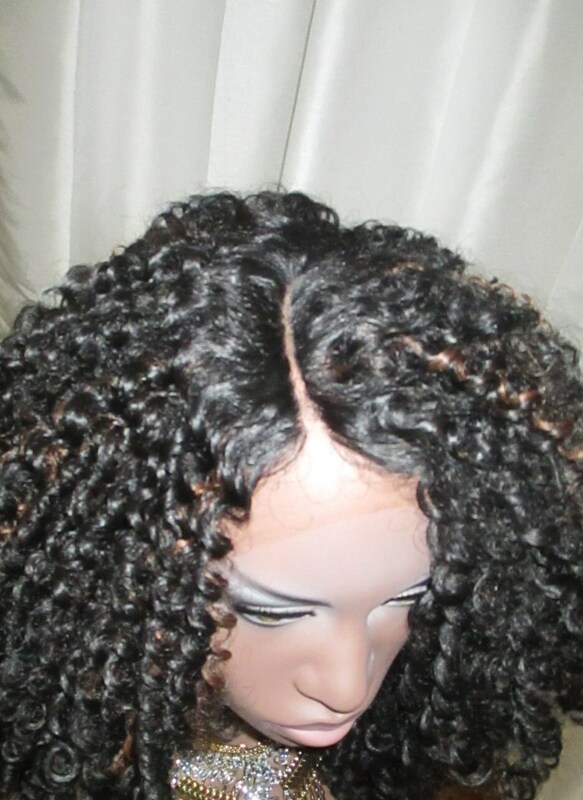 Premium swiss lace was used to create a natural, customized hairline for the wearer. 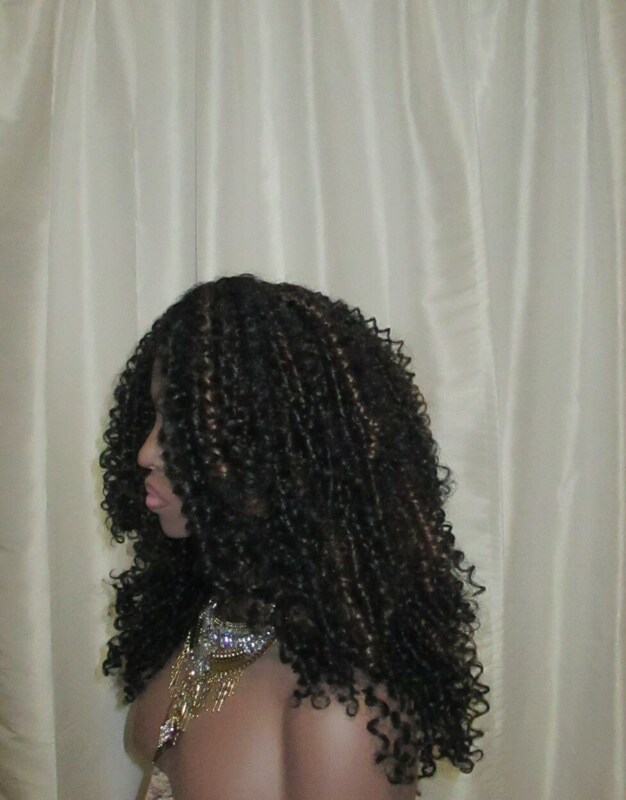 The light, fluffy, voluminous hair is soft to touch and a 3.5" part has been created for a natural scalp line look. The texture on this wig is just unbelievable! You'll be hard pressed to find a wig with this lovely texture! It is very natural looking! 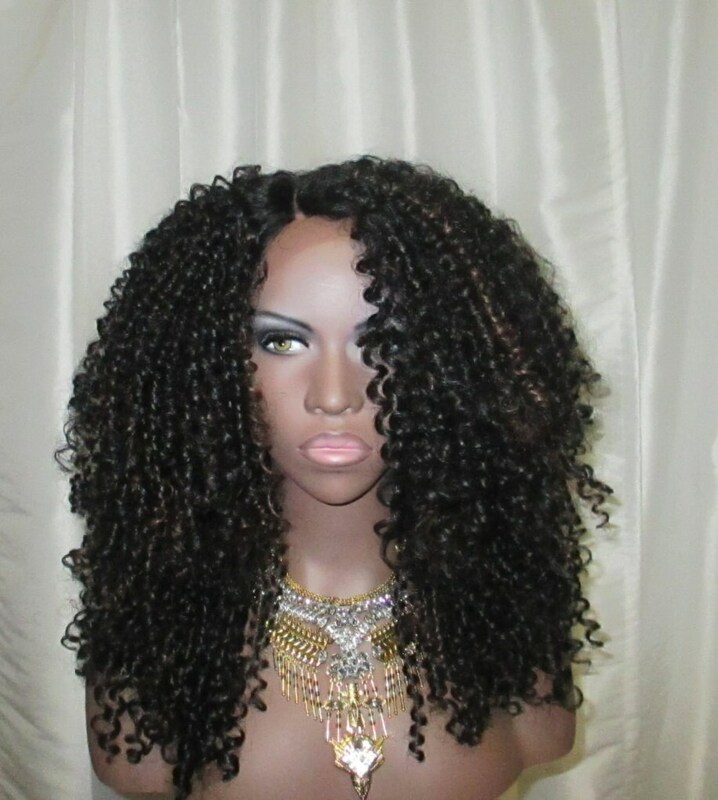 This wig has combs and adjustable straps. 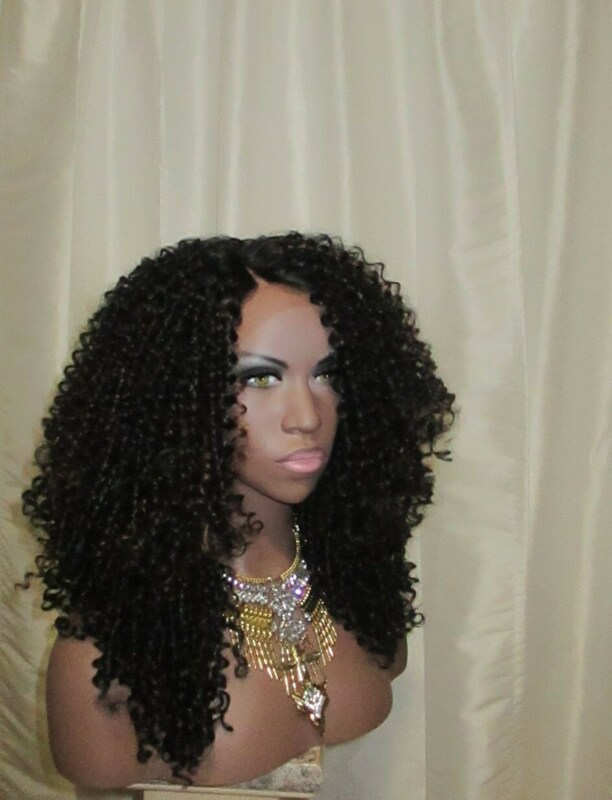 This wig will provide you with a on style, trendy look in the style of Janet Jackson!